Alsmillions Enterprises has now partnered with BREEJ Technologies to bring you a stronger bump killer than before. No need to suffer unless you want to! 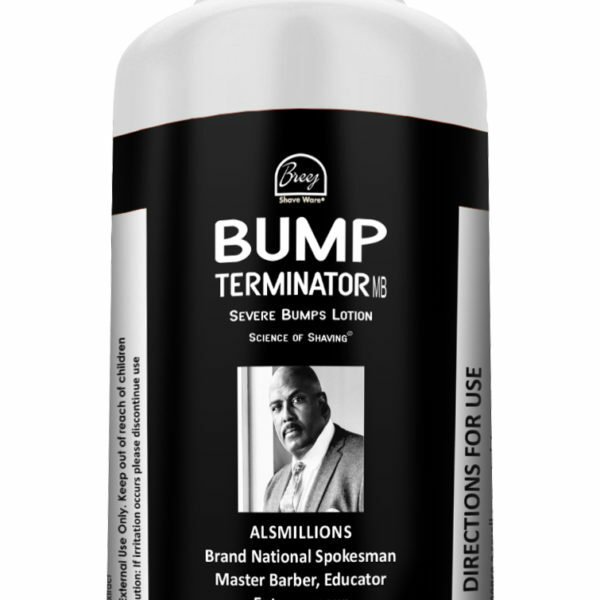 Bump Terminator really heals and conditions your skin. 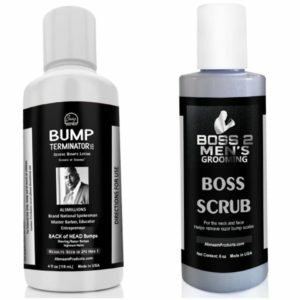 Our Bump Terminator can be used to speed up the healing of the skin. 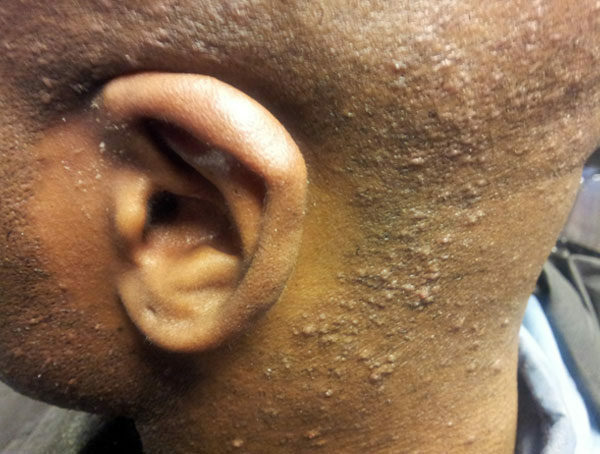 Clinical trials have shown that the ingredients found in BumpTerminator can be an effective and well-tolerated therapy which results in significantly fewer PFB (Pseudofolliculitis barbae) lesions on the face and neck. 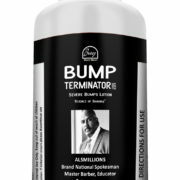 Bump Terminator Severe Bumps Lotion – for severe cases of Back of Head Bumps, Facial Bumps and Ingrown Hairs [entrapped hairs] 4 oz. Apply a damp, hot towel for a couple of minutes to soften the hairs on your face. 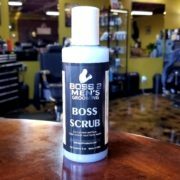 Then apply Boss Barber Shave Gel gently massaging into the skin. Using a clean razor Avoid going against the grain and using steady strokes. For stubborn hair, go in a downward 45 degree angle to remove hair. Do not irritate your face with repetitive strokes. If you’re not using a razor to shave with, you can use an electric shaver or barber trimmers to remove hair. NOTE: If your face is presently sore and you have scabbed over bumps, DO NOT shave with a razor. 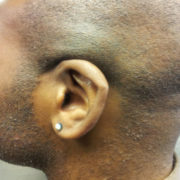 Lightly use the Andis or Wahl trimmers to remove hair. Use a warm/hot towel upon completion of shave, then apply a cool towel to close the pores and dry face thoroughly. 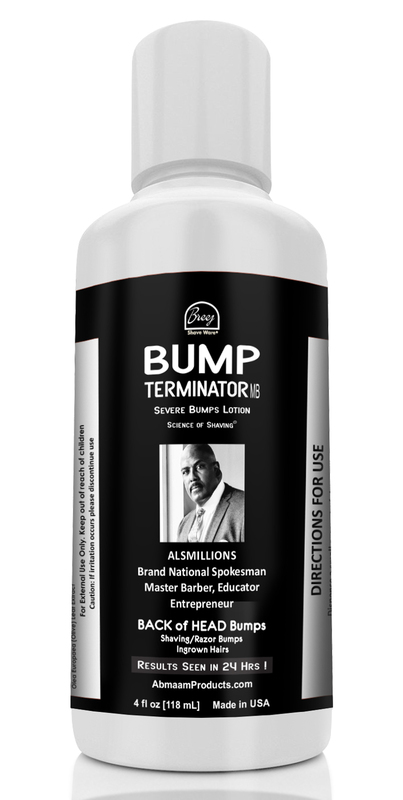 Take a clean bath cloth/towel or a cotton pad and pour on some Bump Terminator lotion in a small 2 finger size area. NOTE: Do not apply with uncovered fingers on hands. Always use a clean cloth or cotton pad. Apply to infected area(s) and everywhere you shaved. Do this at least twice a day or whenever you feel that burning or itching feeling. NOTE: Always wash your face before you apply Bump Terminator do not scratch face with your hands because you may add more germs and cause your infection to spread and get worse. For bumps that have scabbed or smoothed over and are not going away be sure to exfoliate once a week with our Boss Facial Scrub. 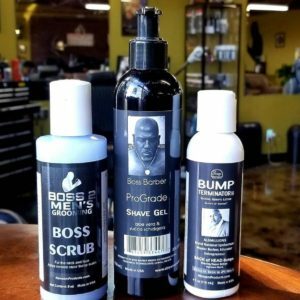 Your razor bumps should begin to dry up and clear in about 1 week. 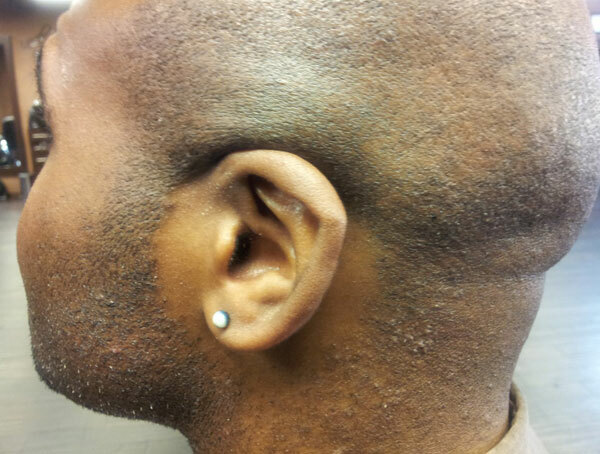 If your face was scabbed over, you should have no pain and see a complete change and improvement. 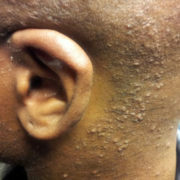 Use on bald heads, the back of the neck, under the neck, everywhere you shave. Ladies can use for bikini lines, waxing, razor burn, electrolysis, etc.